This post is sponsored by the North Carolina Department of Agriculture & Consumer Services and while I was compensated, my words, views and opinions are my own. 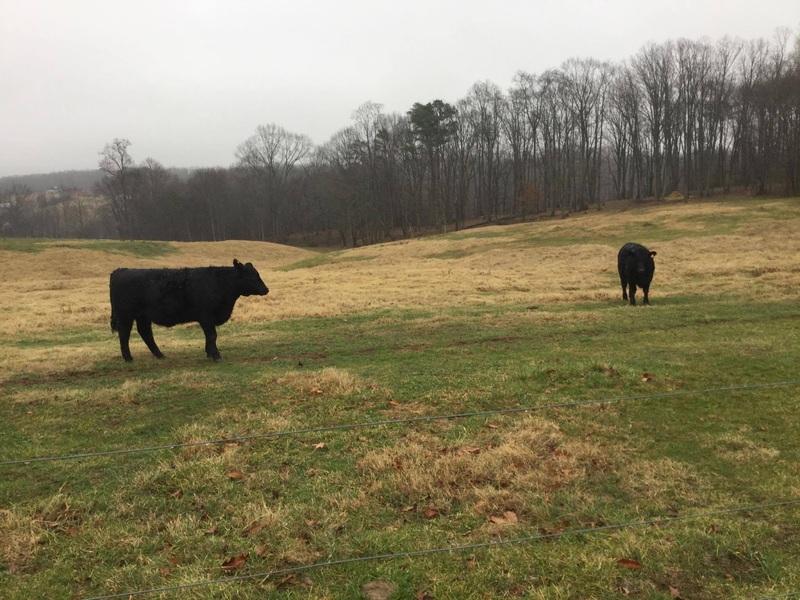 I have joined a handful of area bloggers to help share a snapshot of the diversity of NC Beef farms. We all toured different NC beef farms and created diverse recipes using NC beef. I'm excited to share my Bourbon Beef Chili AND my farm visit with you. HUGE shout out to Pastry Chef Online, Jenni Field, for organizing this whole project. There are a lot of choices for consumers when it comes to NC Beef. 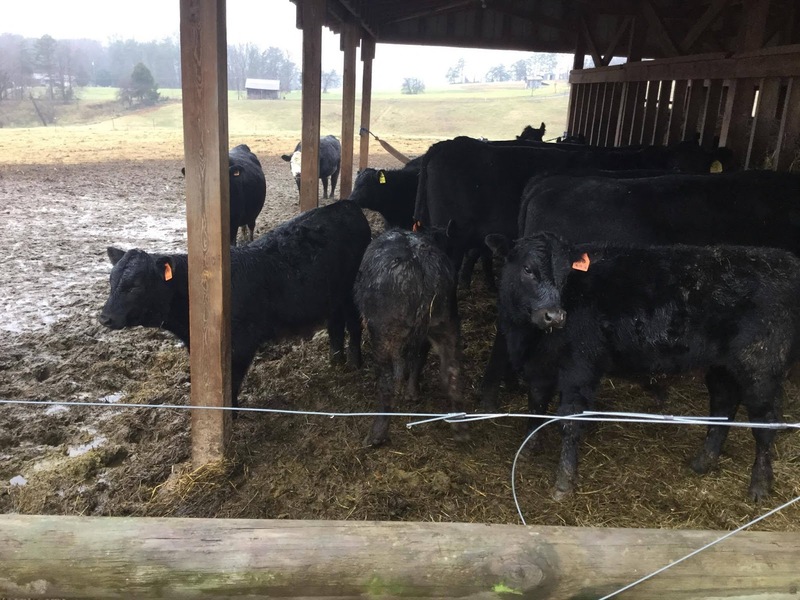 You can find NC Beef for sale at local farms, farmers markets and via on-line sales all offering grass-fed, grain-fed, organic, non-GMO, heritage, certified animal welfare approved, and a host of other beef niches. A mere 20 minutes from my house, I can purchase antibiotic-free ribs, steaks, chops and hamburger from a local farm. 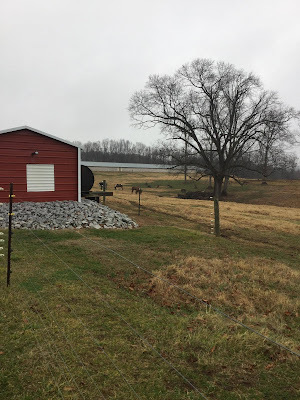 I visited Newsome Farm in King, N.C. where Brad and Vickie Newsome have 80 acres, up to 40 heads of cattle at a time, as well as chickens, horses, too. Their oldest daughter, McKayla, helps run the farm. She is a recent graduate of NC State's Animal Science program. The family has lived on the property for over 100 years and McKayla will be the 4th generation to run the operation when that day comes. Rain and other inclement weather doesn't stop life on the farm, so while it was overcast and rainy, I still got to meet all of the cows and watch them graze and play in the mud. 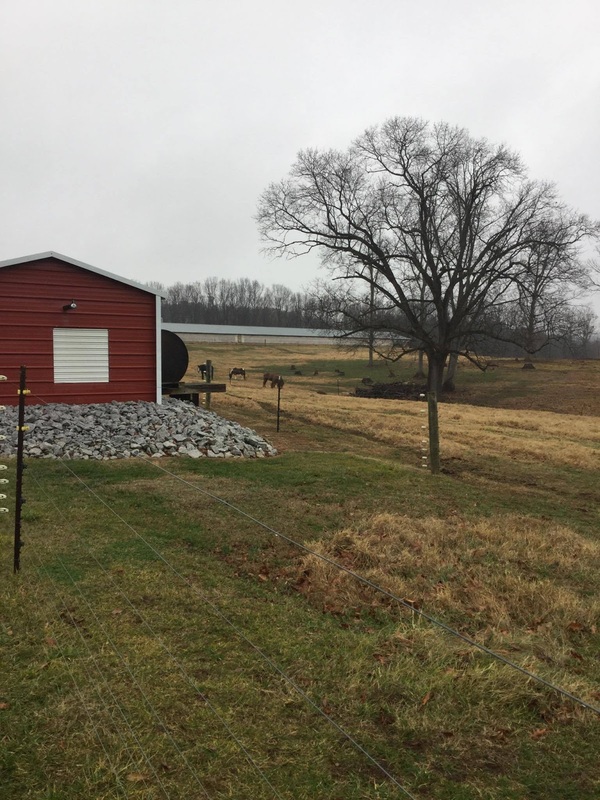 All of the cows at Newsome Farm are born on the farm. After being weaned at 6 months, the heifers and steers are separated from their mothers and eat an all-grass diet until 15 months of age. After that, the cows are given a diet mix of Southern States High Protein feed, cracked corn and hay. The Newsomes actually "handcraft" their hay! They have a tractor, mover, a tether (to rake the hay) and the baylor to roll the hay into round bales. Apparently its very time consuming, but it's worth every minute. Look at these cows! So once the cows reach 18 months or 1100 pounds, they're ready for slaughter. These two will be heading to the slaughterhouse in 2 weeks. I like the idea of meeting your meat before eating it. Mitchell's Meat Processing in Walnut Cove, N.C. is where the Newsomes take their cattle to be processed. I was able to take home hamburger that had been ground from a whole bull, which produces leaner meat, filet and NY strip. Heat 2 tsp. olive oil in a heavy frying pan, add ground beef, and cook over medium-high heat until the turkey is well-browned and all liquid has evaporated. Use a wooden spoon to break the meat apart as it cooks. Put the browned meat into a medium-sized soup pot (or be like me and brown it in your soup pot and save a step). Add the other 1 teaspoon of olive oil to the frying pan, add the chopped green pepper and chopped onion, and saute about 3-4 minutes over medium heat. Add the minced garlic, cumin, chili powder, coriander, onion powder and cook for 1-2 minutes. Add the pepper-onion-spices mixture to the soup pot. Then add the tomato soup, tomato sauce, and beef stock to the soup pot and start to simmer the chili on low for 30 minutes. While the chili simmers, add the black beans, molasses and bourbon to the chili and simmer about an hour, adding a little water if it gets too thick. Taste for seasoning and add Green Tabasco Sauce, salt, and fresh ground pepper to taste. Serve hot. Sorry you had a rainy visit, but still: going to the farm! Yay! Thanks for being a part of the tour, Nikki, and I love the sound of this chili. Bourbons and molasses? Yup-yup! Oh yum! I'm a big chili fan and your Bourbon Beef Chili looks delicious! Sorry you had poor weather on your tour of Newsome Farm but it sounds like you still had a good visit. That's so great that they've had the farm in the family for that long. I think stuff like that is so neat. That chili looks fantastic, I know I'll be making that soon! I have to make this! Looks absolutely yummy. Sounds like a good farm trip, too. Thus chili looks amazing! I can't wait to try it. And thank you for sharing the details about the family farm. I am always looking for more farms to visit! Another fabulous NC farm and yet another great beef recipe! I love this round up and your sharing of your time on the farm was really informative. The recipe looks amazing and I am pinning it for later ! Thanks! Sorry about the weather but what an amazing visit to the farm! This looks delicious, I need to make it asap! Sounds like you have some amazing options! That chili sounds delicious, perfect for this time of year! How nice to have farms right where you live to visit. Was just talking with a chef friend in NYC and he was telling us how he visits farms in upstate NY to get his beef for his family. Great recipe, Nikki! Farm visits are always a good time! Thanks for sharing!! I absolutely adore going on farm tours to see the passion that the farm families pour into caring for their animals on a daily basis. How fun! The chili sounds delicious! Aren't farm visits wonderful? I did something similar with the Ontario Corn Fed Beef program last fall, and I had a great time learning more about beef farming operations and seeing how they care for and feed their cattle. Like you said, it's pretty cool to meet your meat and see where it came from. As for this chili, it sounds absolutely dee-lish-ee-ous. I've never met a chili recipe I didn't love, but the use of bourbon in this one? Totally genius. This is so great!! As a not-too-longtime resident of NC I have enjoyed visiting Hickory Nut Gap farm but it was cool to discover some of the other awesome local provider. And this chili looks amazing!